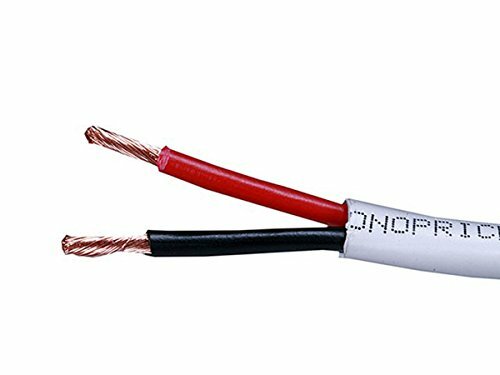 Get the most out of your home audio system with high quality oxygen-free copper speaker wire from Monoprice!. This wire features two conductors made of high purity (greater than 99. 95% pure) oxygen-free copper. Each conductor is jacketed with color-coded PVC for easy polarity identification. The entire cable assembly is jacketed in a white CL2-rated PVC material. The CL2 rating indicates that the cable complies with fire safety and insurance requirements making it safe for use inside the walls of residential class buildings.